6 min. Drone service providers have been around for a while now – time to showcase the scale on which drones are being put to work today! 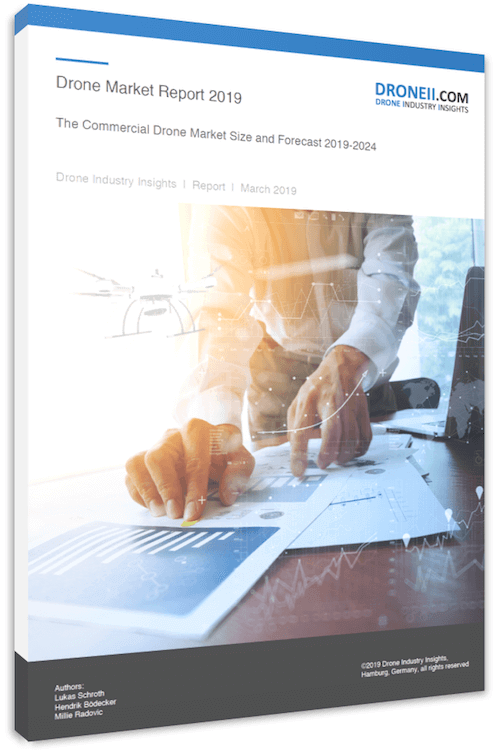 The commercial drone market changed a lot over the last years – we saw how hardware lost its leading position and has been displaced by drone services and drone software solutions. This development can be seen in the evolutionary changes in the investment market and in the distribution of strategic partnerships. 8 min. The changes and developments we saw throughout the drone industry in 2017 were incredible and deserve a proper examination. For the most part, the hype that drove so much misunderstanding and frustration in this space is gone,and that’s a good thing. While the kind of hype we’ve seen associated with UAVs can create needed attention, it can also lead to irrational behavior and impossible expectations. 5 min. As the recreational and commercial drone market evolves with light speed, chances to use this technology for civil uses grow – however, this also counts for possibilities to do harm. The ability to do damage in and outside of conflict zones with warfare tactics is frightening and creates an urge to protect oneself. But how? 6 min. The last year in the drone industry moved at incredible pace – especially when it comes to strategic partnerships. We frequently provided updates about drone partnerships in the past. Now, why is this so important? 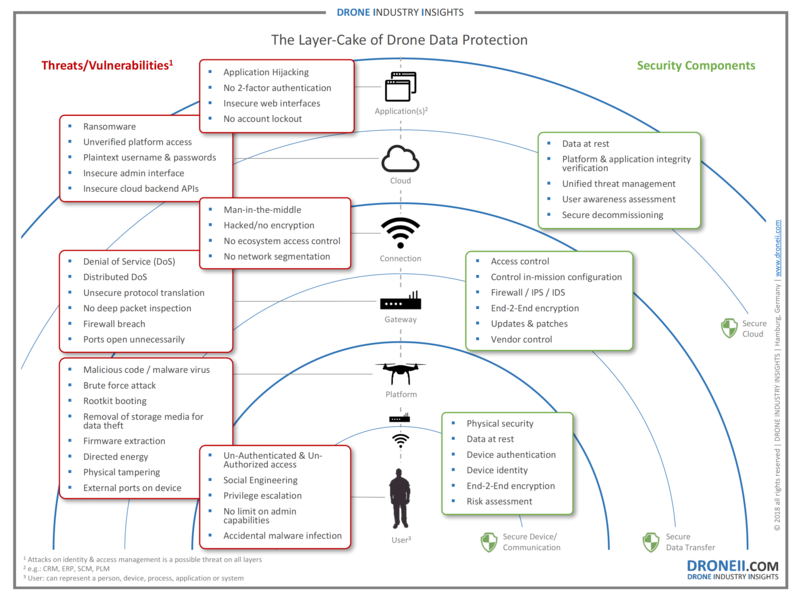 Drone companies (hardware and software manufacturers, and service providers) are constantly expanding their product/service portfolio and interdisciplinary expertise. This is extremely interesting because it unveils the company’s strategic alignment. 3 min. Commercial drones are taking the world by storm– industry niches are uncovered and served at an incredible pace. The beauty of today’s technology, however, has more to it than just collecting vast amounts of data – in fact, it is the beauty of drones moving through the air itself. 7 min. To push the boundaries of drone flight performance, batteries must become smaller and lighter. It appears that we reached a certain limit when it comes to power density. Lithium-Polymer (Li-Po) and Lithium-Ion (Li-ion) batteries have become very small and affordable, mainly driven by the mobile phone industry. This led to a wide adoption and today it is fair to say that the great majority of commercial unmanned aerial vehicles uses batteries as a power source (~96%). 3 min. Over the last weeks, we read a lot about flying cars, air-taxis, and personal drones. Recently a variety of concept studies and prototypes was presented and they all immediately create the wish to own one of these and being able to fly wherever you want, watching traffic jams from above. These pictures provoke two things: Make people dream and make great marketing for the creator of these images. 2 min. Drone Industry Consulting, a sister company of the leading drone research platform DRONEII.com, started operation to provide a unique combination of market insights and consulting know-how.